As a full-service moving & storage company J.H. Bennett provides transportation and warehousing services for everything from personal household goods to high-value products, trade show exhibits, and sensitive electronic equipment. Our modern, temperature controlled warehouse is government and DoD approved and is available to meet any storage challenge. On the heels of our 100 Year Anniversary, J.H. Bennett Moving & Storage is moving fast-forward into our second century. 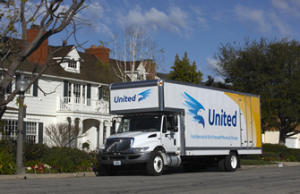 We have been a registered agent and partner of United Van Lines for well over over 50 years. J.H. 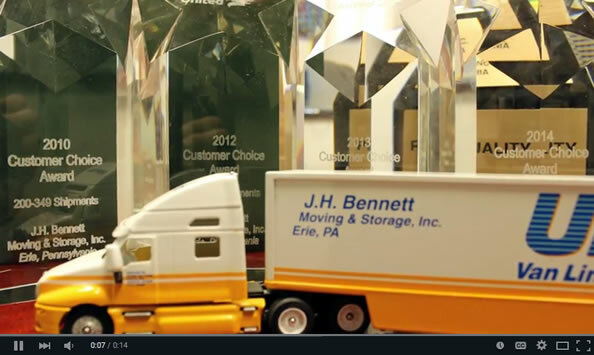 Bennett is consistently recognized as one of the top quality agents in the entire United Van Lines system, winning the Customer Choice Award in 2014, 2013, 2012, 2010, and 2000. 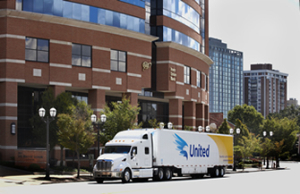 In 2013, we were awarded the 2012 President’s Award for Quality by United Van Lines. This award is given to a single United Van Lines agent annually based on a number of factors. These include: National safety requirements, customer service survey results which take into account estimating accuracy, loading and delivery crew performance as well as overall move experience. We offer relocation solutions that are completely customized to meet all of your moving and storage needs. Whether you are moving around the block or around the world, your successful journey begins with J.H. Bennett. Your employees are your company’s most valuable resource so naturally you want to provide the best and most competitive relocation solutions for them. J.H. Bennett has experts in employee relocation services, and policy development ready to tackle this challenge for you and manage your new (or transferred) employees moving needs from initial phone call to post-delivery follow up. Secure Storage Solutions, 36,000 sq ft whse, Containerized / palletized storage, Upholstery racking, Industrial racking for commercial goods, interior climate control… read more. Congratulations Videos on 100 Years of Serving our Community! Today your three drivers arrived (on time) and with great demeanor’s. They were courteous, pleasant and overall a great group of men to showcase the company. As an employer of over 80 people, it pleases me when I get a positive comment back. It seems in today’s society, we never hear the positive, just the negative. Thank you for a great experience, and should anyone I know be moving, your company will be the one I recommend, hands down. Joe Nason Named Driver of the Year! We used this company when we moved from Charleston, SC to Erie. They were wonderful to deal with, very organized and efficient. They moved our apartment and one of our cars and we could not have been more pleased with this company on the administrative end and with the movers themselves. I very highly recommend this company!